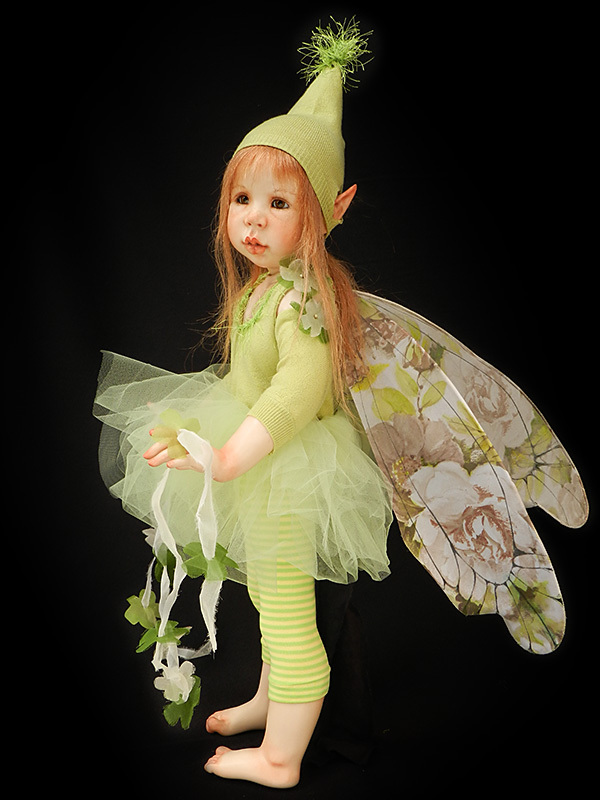 Punkie Pixie is a completely adorable toddler with delicate moth wings. 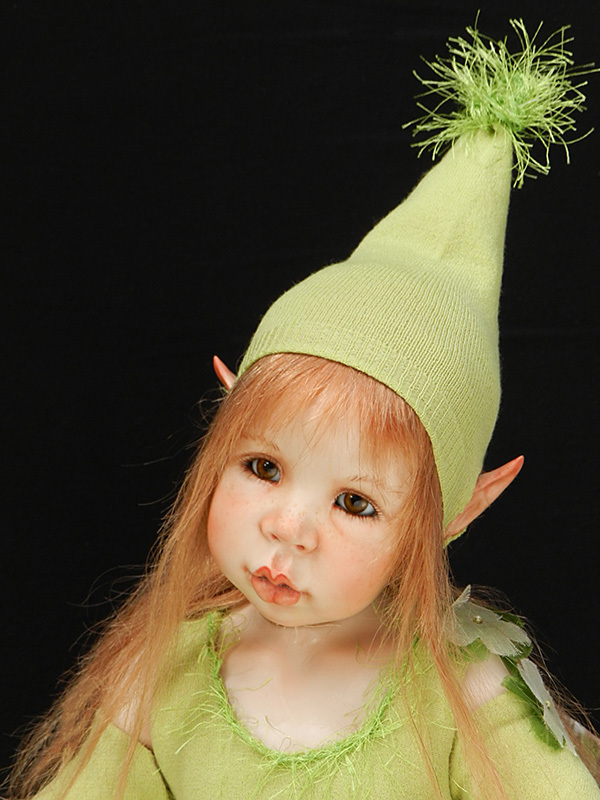 She is dressed in a lime green pixie hat to show off her pixie ears! Her poofy net tutu and stripy leggings show off her little girly legs.